Golden Gates and impenetrable prisons aside, this city of hippies and hipsters has everything from beaches to blues bars to keep you entertained. Daniel Watson-Weller, of SOSF tours, shares his tips for a wild weekend in San Fran. In its past San Francisco has grown from a lust for gold and a desire for a better life. It stood up for equality – an equality not only tolerated but celebrated. This city is still diverse, but changing as money pours into an area that can only grow upwards, which keeps its population under a million. You can eat at one of the city’s revered fine dining establishments one night and spend the next sampling the freshest hole-in-the-wall dim sum; and know that both are tapping into the finest produce California has to offer. Both then and now San Francisco is loud and proud. This personality wears a suit by day and dresses down to attend the urban art galleries by night. You fall in love with San Francisco because of you. Because no matter who you are there is a part of you that can fit in here. It’s a stunningly beautiful city where anything is possible and everyone is accepted. Everyone who comes to San Francisco thinks of the Golden Gate Bridge, Alcatraz and Fisherman’s Wharf. These are worth your time but there are many more places to explore during your weekend break (or longer!). If you want to bark at a sea lion and buy some chatskis check out Pier 39. Oh and do try a bread bowl of clam chowder or eat some crab at Fisherman’s Wharf. Alcatraz lives up to the expectation, its audio tour is world class and you get magnificent views of San Francisco from the water. The Golden Gate Bridge is simply breathtaking. To get a unique perspective go under it and howl at the wind. Climb up for free to the roof of Fort Point and experience the grander end of this iconic landmark. Do you think that everyone in California is a hippy? Well in the summer of 1967 we almost all were. The Haight Ashbury neighbourhood is still stamped with this era and is a great place to people watch, shop and smell liberal alternative San Francisco. There are many views of San Francisco and if you want some vistas the holy trinity of Coit Tower, Twin Peaks and Alamo Square all live up to expectations. Climb up to Coit Tower via the Filbert Street steps and if you are lucky you will see or hear the flock of wild parrots that make their home here. Twin Peaks is better served by car though one can take public transport as well. Go at dusk and watch the city shimmer as the sun reflects off of the financial district. 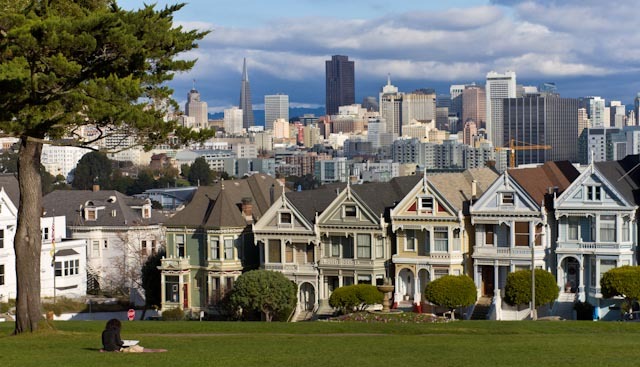 For a lay in the sun (if you are lucky) and picnic view of the city head to the heart and visit Alamo Square and see the contrast of the 1890s painted ladies Victorians and San Francisco’s skyline today. For more inspiration, such as this Golden Gate catamaran cruise, check the many tours and activities available on Get Your Guide. During the last 15 years San Francisco, a city that embraces all and everyone, has enjoyed an ongoing love affair with hipsters. 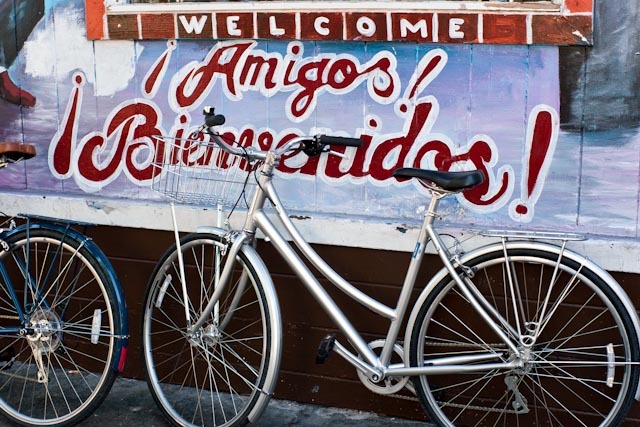 The Mission District is the unofficial home to hipsters, replete with their vintage threads and fixed gear bikes. If it is sunny go to Dolores Park to start your walking tour. From there, stroll down Valencia Street all the way to 24th street which bring you from the Inner Mission to the Outer Mission. As you go down 24th Street you will see the remaining elements of a once fully Hispanic and Latin American neighbourhood in the throes of gentrification. The beauty and grit of this area has not disappeared and the murals and street art are as vivid as ever. Stop in at Precita Eyes (a non profit showcasing murals in SF) to find out which murals/street art you want to see for yourself. Golden Gate Park is a wonderful place to explore, especially on a Sunday as it’s partly closed to car traffic. It has everything and more, from roller disco, lawn bowling to herd of bison. Go to Nightlife on Thursday nights at the Academy of Sciences to experience the bliss of holding a drink inside of an epic museum watching penguins or maybe an albino alligator. It’s touristy and yet still an experience that locals do all the time. Walk down from Fort Mason and go West. Here are sweeping views of the Golden Gate Bridge. Stop to dip your toes into the sand and the Bay water at Crissy Beach. This is something locals do all the time, often with their friendly dogs. The views will take your breath away and don’t forget that you are standing on a beach within one of the most eccentric metropolitan cities in the world. 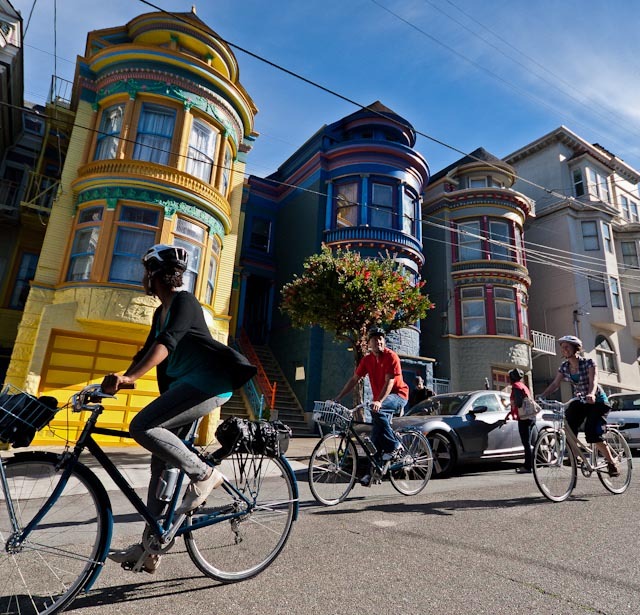 Hop on a bike tour with Streets of San Francisco Bike Tours, a company I co-own, and experience the authentic personality of San Francisco with guides that love and live in the city. Go to a farmers market specifically on Saturday mornings at the Ferry Building and chat to the local farmers. Grab a true San Francisco passion, the burrito, then take the subway to the a Giant’s game, a view and experience that is truly San Francisco. It will not be hard to make some new friends. Visiting in May? Come experience Bay to Breakers. Runners compete with each other for the most imaginative costumes (or go without clothes at all). Gay Pride‘s weeklong festivities (in the last week of June) showcase every type of gender/sexuality in one weeklong celebration of a world which you can experience during your time here. For music come during August for Outsidelands music festival and early October for Hardly Strictly Bluegrass in Golden Gate Park. In the heart of downtown the Clift is an icon on San Francisco’s Union Square and has a world class bar – the Redwood Room. There’s a cool group of boutique hotels run by a company called Joie de Vivre – each hotel has its own unique feel to it and they are located throughout the city. These include the Phoenix: the original SF rock’n’roll hotel, which is trendy, but in an edgy neighbourhood. Hotel Kabuki is a Japanese-style hotel in Japantown which happens to be very close to the historic jazz Fillmore neighborhood, which has great live music. A less expensive local option near the Haight-Ashbury neighborhood is the Metro, which has simple rooms and a nice, cosy feel to it. And if you want to give your city break a more local feel, then search for hosted apartments via Homestay.com. 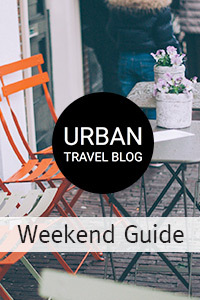 Readers of Urban Travel Blog get 5% off when they book using one of our links! Local, organic, sustainable and transparent are the key words to San Francisco’s cuisine. The classic Sott O’Mare Oysteria serves up excellent seafood and Italian all in one institution. Go to Foreign Cinema if you want an amazing California meal in the Mission; the vibe and space is fantastic. For wild funky fusion and a wait, go to Mission Chinese Food and try the Ma Po Tofu. This city starts early with a lot of day drinking at brunch and heads into the night ready to go, especially at the weekend. Jazz to world class DJ’s the nightlife is as diverse as the population and can range into every style and experience. Want the underground dance scene? Public Works is an open space used not only for DJ’s but as well as a venue for cutting edge expositions in the wild world of SF art. The best cluster of bars is on Polk street but the neighborhoods of North Beach, Marina, Mission all provide excellent venues for delicious cocktails, local beer and wine. For jazz and blues my favorite spot is Rasselas Jazz Club as they never have a cover and are really down to earth. Café du Nord, a music venue/nightclub/restaurant, has a lot of alternative local sounds. 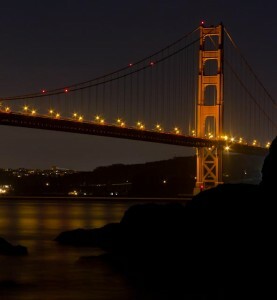 You can fly to San Francisco (SFO) from anywhere in the US, as well as many cities in Europe and beyond. The airport is 25 mins south of the city, and once you’ve touched down, you can make your way to the center of town via BART (Bay Area Rapid Transport), or by reserving an airport transfer via Book Taxi San Francisco, which will take you directly to your hotel. If you are coming from Los Angeles, take the Greyhound bus. Once in town, to appreciate the local color of the city ride the subway, bus and of course the iconic cable car. 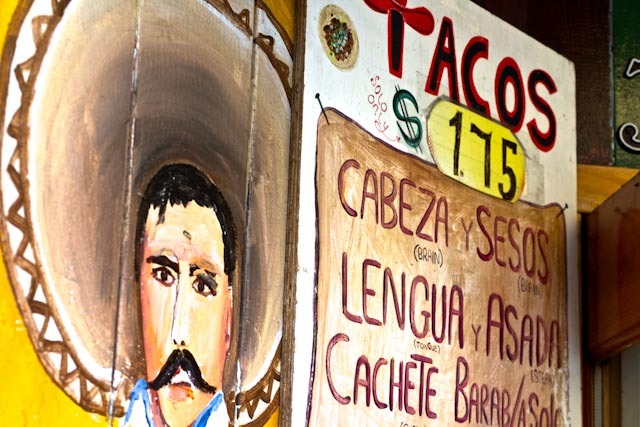 For food and nightlife check out the free local 7 x 7 magazine which is a fantastic resource. The SF Gate provides an all inclusive overview of the city without being snobby. Check Sfist.com for a local blog with a sardonic slant and sf.eater.com for a blog purely on SF food. Jet Settera has a great overview of the main points of interest in town. To learn about the wild west era read The Barbary Coast Franciso Underworld. Infinite City San Francisco Atlas by Rebecca Solnit has amazing maps which illuminates the city in a fascinating visual way. You have seen San Francisco on TV both currently and with the historic Streets of San Franciso drama which kick-started Michael Douglas’s career. Movies include Alfred Hitchcock’s thriller Vertigo and Bullitt, where Steve McQueen jumps his mustang down the hills of the city. Doing a grand tour of the United States? Don’t forget we’ve also got city guides to New York, Chicago, LA, Indianapolis… and more to come! Ongoing Events in San Francisco is Cherry Blossom Festival on April 9-10 and April 16-17, 2016.